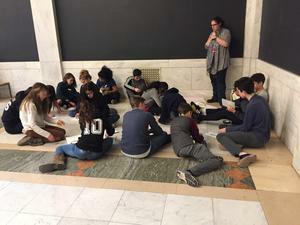 QVMS Students learned about contemporary artists with the help from educators at the Carnegie Museum of Art. Students in 8th grade American History classes teamed up with the educators from the Carnegie Museum of Art to learn about contemporary artists including Tavares Strachan. 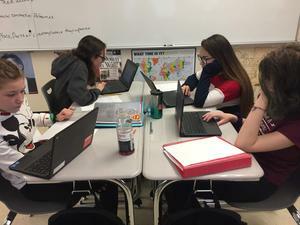 The idea for the lesson comes from Strachan’s “Encyclopedia of Invisibility”, which is currently on display at the Carnegie Museum of Art as a part of the 57th edition of the Carnegie International. Students worked in groups to mimic Strachan’s question, “Who is missing?” As this approach was applied by the students in their specific history classroom setting they were given the task of adding in a figure from American History that their specific small group believed to be invisible or lacking in appropriate recognition. 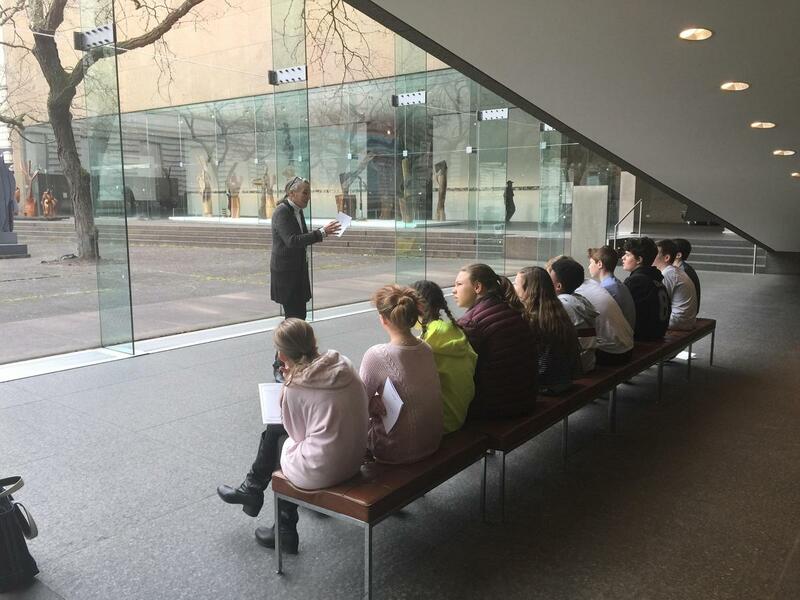 Based on the generous support of the Carnegie Museum of Art through a grant for Grable Foundation, all 8th grade students visited the Carnegie Museum of Art on Wednesday, December 12, 2018 to see Strachan’s work as well as other pieces from the 57th edition of the Carnegie International in person. The museum educators also visited 8th grade American History classrooms at QVMS on four different days in December of 2018 to help continue the lessons that were started during the students’ visit to the museum. Quaker Valley Middle School Social Studies Teachers Mr. Ryan Kelly and Mr. Jeremy Sheffield lead this project for the District.